This is a Survival-Mystery adventure that follows Cliff Calo, who sets sail to document the unexplained events on Banoi. Arriving on the island of Narapela, he finds that not everything is as it seems. 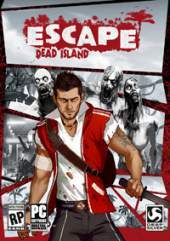 This title lets players delve into the Dead Island universe and unravel the origins of the zombie outbreak. Escape is just the beginning. Unravel the origins of the zombie outbreak. Experience an immersive, story-driven Survival-Mystery adventure. Find and use specific tools to your advantage to enter new areas of the island. Fight off zombies and kill them in unique ways with a vast array of weapons. Discover the secrets of the Dead Island universe. It's the missing link between previous Dead Island games and the upcoming Dead Island 2.